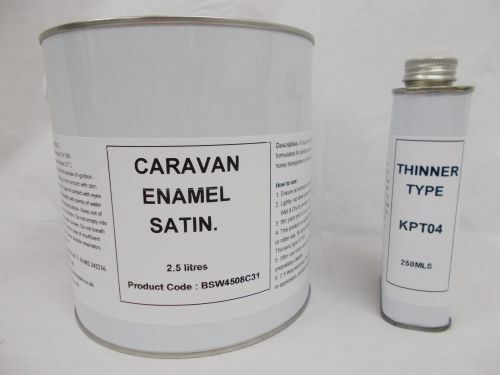 2.5lt Caravan Satin Enamel Paint RAL Colours Mobile Home - Paints R Us - Number 1 Supplier of your Paint Supplies - We supply paint FAST!! Tough, durable and hard wearing SATIN finish. 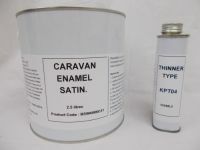 1 x 2.5lts of top quality Caravan Enamel Satin, plus 1 x 250ml Caravan Enamel Thinner. This product is formulated with reinforced resins to provide a tough, durable and heavy duty SATIN finish. Size & coverage: 2.5 litres, which will cover 30 to 35 square metres.